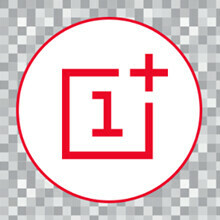 Are you one of the earliest supporters of the OnePlus One? If you joined the company's forum early enough, and constantly posted messages, you might be in line to wrangle an invitation for the 64GB Sandstone Black OnePlus One. There has been so much demand for this particular model, OnePlus has decided to produce it before churning out the 16GB unit in white. Invites are going to go out to certain forum members based on how long they have had an account for. The older your account, the higher your ranking. You also must have a minimum amount of posts. OnePlus says that the required number of posts is "less than you think," so perhaps having written a post or two will be enough for you to be considered. However, some of these posts need to be recent. OnePlus wants to be around for a long time, so they need more than just fair-weathered fans. OnePlus is forcing those who get an invite to use it within 24 hours, or else it will go to the next person in the rankings. This is smart because it prevents a secondary market in invites from starting. The company is also working on a pair of contests involving the 64GB model, and that is sure to draw a lot of attention. The reason for the plethora of contents has to do with saving money. CEO Peter Lau said last week that the OnePlus One is being sold at cost. To make that work out, the company eschews national advertising campaigns, deciding to go with community partners and online advertising. What OnePlus has done trying to sell their phones with constant games and gimmicks is so incredibly worse than pre-orders, it amazes me. Why not just make it available in the whole world . Stupid gimmick sending invites. People come to buy smart phones not invites not unless it's for oscar. They're not Sony so the they're not a establish phone maker. Instead of sending invites just make it available that's it. Will not be surprised if those *lucky* individuals with invites are actually shills and accomplices. Really OnePlus. Publicity stunt? Is that what you're after? I just purchased the Nexus 5 in Red. No waiting for an invite for that. They've created free press an advertising. Kudos to them. I want a 64gb model too, but will bide my time for it. It's a Lagdroid phone....no big deal. I'm only going to buy this phone if the invite system disappears. Simple as that. Since they are probably selling the phone at loss they can't let anyone buy it since it would be too expensive for them. Instead they sell low volumes in the beginning while still keeping the hype up. The component cost goes down over time and also the loss. It's the same tactics as several other vendors for example Xiaomi. If they charged people for the pre-orders, then they could buy in bulk and achieve better price reductions without making people play games and get frustrated. Let's say they had 10 million pre-orders. That would be $3.5 billion in the bank that they could use to get component discounts vs. fussing around with gimmicks and alienating potential customers. Dear OnePlus: This is business, not a game. Your invite system is a stupid waste of your company's potential. Stop it. None of you really has any idea what's going on, do you, Oneplus doesn't have enough phones yet. They need to make everybody want to wait, so they found a way. That's it. Do you think they wouldn't sell the goddamn phone to you if they could? Stop complaining. It's their way of promoting. It's free publicity to share an invite than your typical pre-order.